The Cruise and elephant discovery experience is an unusual and adventurous way to discover some of Thailand’s culture, history, wildlife and breath-taking scenery. This is a tale of two parts: After your first night of relaxing luxury in an exclusive Bangkok hotel you’ll start your three-day private cruise along Thailand’s famous Chao Phraya river. Returning to Bangkok for a short flight to the exotic Northern Chiang Saen region, the remainder of your holiday will be based at the unforgettable elephant camp jungle retreat. Here you can explore the jungle surroundings, get up close with the elephants, learn Thai cooking or visit the fascinating opium museum. Your Cruise and elephant discovery experience starts in style as you board a beautifully-restored rice barge for your three-day private cruise. The Chao Phraya river is lined with mysterious temples, historic ruins and bustling traditional villages and the gentle pace of your sail boat is a truly marvelous way to discover it. Choose from either the Ayutthaya thousand golden temples tour or the Ang Thong mystic river tour, each route offers its own secrets for you to uncover. These vessels are furnished and decorated in the finest tradition and you’ll have no trouble finding a sumptuous corner to relax in or a magnificent setting in which to dine and watch the majesty of Thailand drift by. Your crew: a Captain, Chief steward, Personal chef and First mate: are there to ensure your comfort and safety at all times and of course your enjoyment. 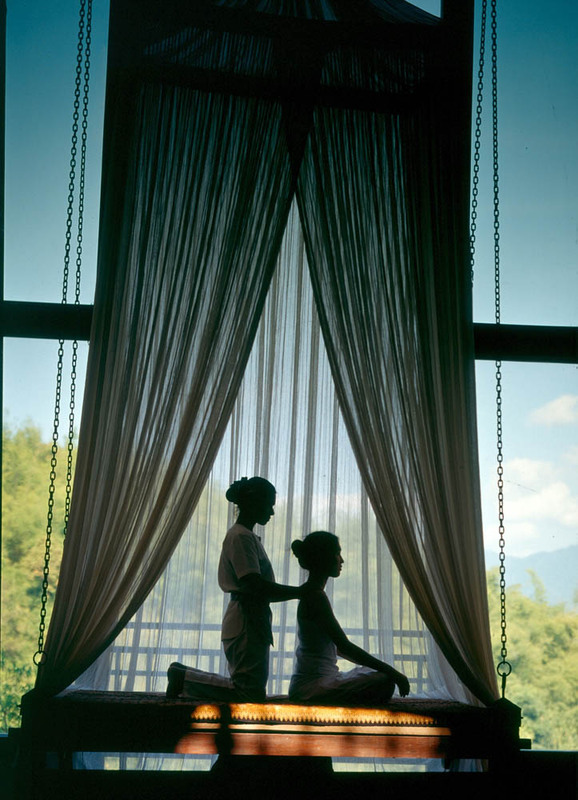 The second part of your Thai adventure starts in a truly unique way with a VIP arrival. You’ll board a longtail boat at Lanna, the capital of Chiang Saen province, which will transport you along the Mekong river to the resort’s private pier where you’ll be greeted by your own elephant who’ll give you a leisurely ride up to the resort. Covering 160 acres of bamboo forest, rice paddies and gardens, the resort overlooks the fabled Mekong and the borders with Laos and Burma. This is a very special place and is home to Asia’s premier elephant camp. 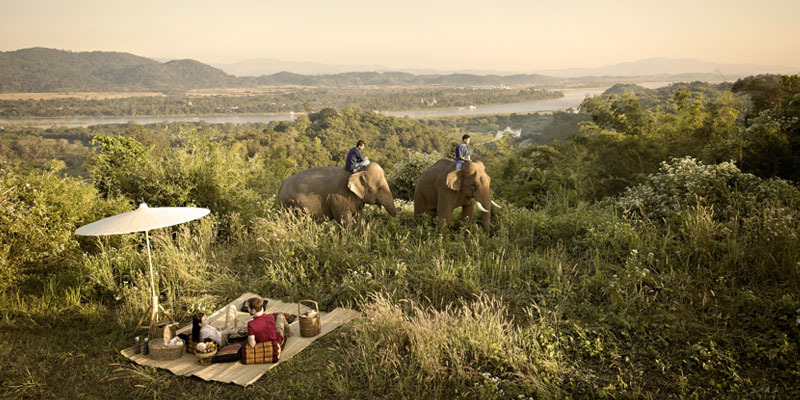 With two restaurants offering incredible Thai cuisine and a selected range of wines and beverages included in your package, as-well-as daily activities involving the elephants, Thai cooking and culture your stay here will feel utterly magical. Your package includes: International flights with BA, domestic flights with Bangkok Airways, all taxes and fuel surcharges, accommodation as stated, private car transfers throughout, ‘jet-lag’ massage in Bangkok, exquisite coffee-table book, VIP arrival by private, long-tail boat in Chiang Rai. Extensions are our speciality so if you’d like to stay longer we can accommodate your plans.